The See Me Takeover show in Times Square on July 24, 2014! 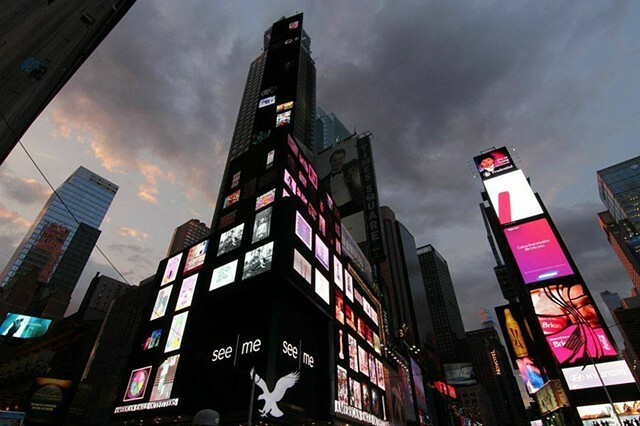 An image of my piece, "Lighter Than Air," is featured on a lit up billboard at American Eagle Outfitters, 1551-1555 Broadway, NYC. It is the bottom image, 2nd from the left.